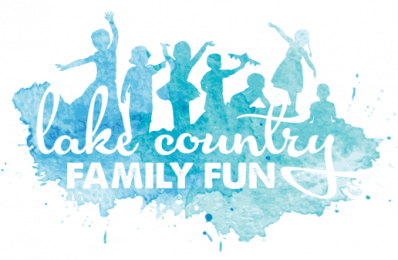 Many thanks to Disney on Ice for partnering with Lake Country Family Fun to provide family four passes to our Lake Country Family Fun readers. Disney on Ice: Passport to Adventure will be at the BMO Harris Bradley Center this upcoming February!! From February 2nd through the 5th, 2017, take your kids to the BMO Harris Bradley Center in Milwaukee for an amazing Disney adventure!! More than Disney characters skating on ice! Celebrate the most memorable Disney tales with all your favorite characters in Disney On Ice presents Passport to Adventure. Join Mickey Mouse, Minnie Mouse, Donald, Goofy and Daisy on a journey to the timeless worlds of Disney’s The Lion King, The Little Mermaid, Peter Pan, and Disney’s Frozen. You and your family will explore the African Pride Lands with Simba, Timon and Pumbaa, voyage deep under the sea to Ariel’s mystical underwater kingdom and tour London with Peter Pan and Wendy before flying to Neverland to meet up with Tinker Bell. Plus, travel to Arendelle for an extraordinary adventure with sisters Anna and Elsa, rugged mountain man Kristoff and everyone’s favorite huggable snowman Olaf, as they journey to discover that true love is the most magical power of all. Upbeat music, lovable characters and unforgettable moments make Disney On Ice presents Passport to Adventure an experience your family will cherish forever! Anything specific I should know before I go? Regarding the specifics of the show, there may be a safe theatrical fog, strobe lights and dazzling special effects. So, please take this into consideration when deciding to attend with your child and family. It is also suggested that you dress comfortably. The temperature in the arena is typically quite cool, so a light sweater/jacket might be needed. Also, practical shoes are recommended to safely navigate the steps in the arena (high heels are not recommended). This is a casual, family-oriented environment, so please use your discretion and common sense. Also, FYI: Costumes worn by guests 14 years of age or older are not permitted. You may be asked to leave the show if you are in costume and over the age of 14. This Disney On Ice production will be 2 hours in length, including a 15-20 minute intermission. If you plan on bringing your camera, please note that they only allow non-professional cameras, such as the use of your cell phone camera. Video cameras are not allowed. So, when is this show and where can I buy tickets to this incredible event? Tickets can be purchased from this link. *Tickets are on sale NOW! Tickets start at $17 each. Market pricing applies to all tickets. Rates can fluctuate based on factors that affect supply and demand. Buy your tickets today to lock in the current price. Ticket prices are the same for children two years of age and older and adults alike. Two lucky Lake Country Family Fun readers will each receive one 4-pack voucher pass to the Disney on Ice Passport to Adventure show! One winner will be announced on December 31st. Congratulations to Megan T.!! The second winner will be announced on January 7th. The vouchers must be redeemed in person at the Box Office. This can be done in advance or on the day of the show.